Hello there, friends! I hope everyone is having a fantastic summer! It was an incredibly hot July here, the hottest I ever remember it being in the 7 years I've lived in Florida. July was all about Mr. Harry Potter! Of course Harry Potter and the Cursed Child released on July 31, and I also participated in Harry Potter Month again. I can't recommend this wonderful event enough to anyone who loves HP; many thanks to our lovely hosts, Faith of Geeky Zoo Girl and Micheline of Lunar Rainbows Reviews, for organizing this fantastic event again this year! "You aren't some avenging angel, Eli," he said. "You're not blessed, or divine, or burdened. You're a science experiment." I Love Being a Ravenclaw! Back to School at Lego Hogwarts! I was recently given TCC as a gift, and IT IS AWESOME! God, I fell in love so hard with Draco's son and with (of course) Albus Severus Potter! It's funny, witty, drama-filled and PURE MAGIC. I highly recommend it. Yay- so happy to hear that you loved it! My copy arrived today, and I can't wait to start reading! I hope you'll get to join in on HP Month next year! I would absolutely read Vicious again; it strikes me as the type of book that only gets better with every reread! 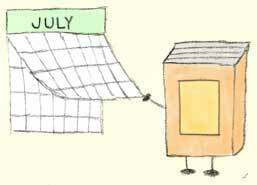 Happy August to you, too! :D Ahh, Post Potter Depression; I'm feeling it, too, and I can only imagine what it's like after rereading the books! I'm determined to do a reread for next year's HP Month, even if I don't get through them all by the end of July. It's been wayyy too long, and reading everyone's HP Month posts really made me realize how much I've missed being immersed in the wizarding world. I tell myself that scorching summers like this one are a small price to pay for mild winters, lol. I really like this cover of Vicious, too. I've read 4 books by Victoria Schwab now, and they've all been awesome; you should definitely give Vicious a shot! 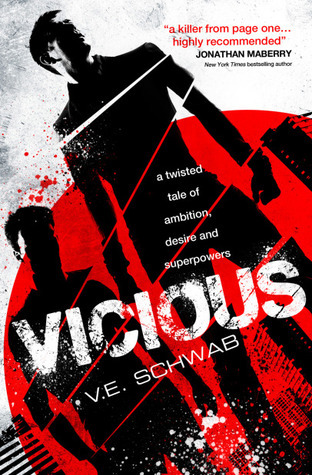 I bought Vicious at the VE Schwab author event I went to - definitely need to pick it up and actually read it soon. She was a fantastic speaker! That is so great to hear! I'm hoping to meet her at YALLFest this year. Vicious is one of my favorite reads of 2016; I hope you love it, too!